This a guest post by Anshu Prateek, Tech Lead, DevOps at Aerospike and Rajkumar Iyer, Member of the Technical Staff at Aerospike. In our first post we busted the myth that cloud != high performance and outlined the steps to 1 Million TPS (100% reads in RAM) on 1 Amazon EC2 instance for just $1.68/hr. In this post we evaluate the performance of 4 Amazon instances when running a 4 node Aerospike cluster in RAM with 5 different read/write workloads and show that the r3.2xlarge instance delivers the best price/performance. Altoros Systems examined the performance of different NoSQL databases on Amazon Extra Large Instances in a report titled “A Vendor-independent Comparison of NoSQL Databases: Cassandra, HBase, MongoDB, Riak”. Thumbtack Technology examined the performance of different NoSQL databases (Aerospike, MongoDB, Cassandra and Couchbase) on bare metal in pure RAM and on SSDs in a report titled “Ultra-High Performance NoSQL Benchmarking”. More recently, the CloudSpectator report titled “Performance Analysis: Benchmarking a NoSQL Database on Bare-Metal and Virtualized Public Cloud”, examined performance of Aerospike on Internap’s bare-metal servers and SSDs as well as on Amazon EC2 and Rackspace clouds. For this series of experiments we tested Amazon instances using a 4 node Aerospike cluster with data in memory (RAM), and 5 real world workloads - from 100% writes, 50/50 balanced reads/writes, 80/20 and 95/5 to 100% reads. In addition, instead of 1 node, 100% reads and 10 Million objects used in the first post, in this experiment, we used 40 Million objects and the 4 node Aerospike cluster with mixed reads and writes was doing more work than the single node, to ensure synchronous replication and immediate consistency. Each Amazon instance has a limited number of requests that can be processed with low latency. Once the limit is reached even though higher throughput can be achieved, latency characteristics deteriorate rapidly. On Amazon r3.large and a 80/20 read/write workload, Aerospike TPS scales linearly from 27k TPS on two nodes to 140k TPS on just 8 nodes. Depending on the instance, 2-67 nodes are required to deliver performance ranging from 15k TPS to 1 Million TPS, for prices starting at just $252 per month to $8552 per month. Costs can go down further with yearly reservation and this graph shows that the best Amazon instance for Aerospike is the r3.large or r3.2xlarge, with r3.2xlarge requiring slightly fewer nodes and lower costs for the same performance. We have documented the steps so that you too can validate the performance of Amazon instances and reproduce results that show linear scalability, extremely high throughput and predictable low latency with Aerospike on Amazon. Setup Instances for Servers: Bring up Aerospike on 4 Amazon instances of the same type in the same availability zone for each Aerospike server. You can use AWS Marketplace to create these instances. You should use an instance which supports enhanced networking and VPC is a prerequisite for using HVM with enhanced networking. The security group should allow ports 3000-3003 for Aerospike within the instances and 8081 for AMC from the internet. Setup mesh configuration to make a 4 node Aerospike cluster. Run afterburner.sh (cd /opt/aerospike/bin; sudo ./afterburner.sh) to set the optimal number of threads on each Aerospike server. Setup Instances for Clients: Bring up 4-8 Amazon instances for client machines. i.e For a 4 node Aerospike cluster, use 4 client instances of the same class or 8 instances of the next best class e.g for a C3.8xlarge server instance, 8 C3.4xl instances may be needed to push enough load. Install java benchmark client on the client instances. Use one of the boxes to run AMC service. Start the cluster on the server instances and let the migration finish. You can check migration progress in AMC. Fire up, from multiple java benchmark clients, the uniform distribution workload. (We used a single client on r3.8xlarge as it was enough for our loading requirement). We have published a cloud formation script - which should take care of spinning up server and client instances and setup up the Aerospike cluster. Follow instruction in the README to try it yourself. This should be quick and cost you 1 hour worth of instance time that is $5.60 ($2.8 each for servers and clients). 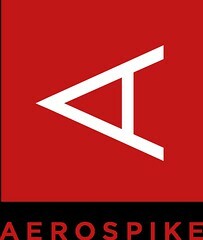 I like the architecture of Aerospike, and I would like to use it in my production. But, it's too JAVA oriented and since I use PHP language, I can't implement it as the way I want. Because there are many differences between JAVA and PHP clients. set "SET -> KEY , VALUE" for PHP: not natural -> you have to command in client side ~ $client->set_default_set('myset') every time before you set a value. Why not like this: $client->set('myset', 'key', 'value'); ? + It would be good to pay attention to have pure PHP client, so we can use it on HHVM as an alternative to Redis. The PHP client offers features that similar to basic key, value storage like Memcache. You can't really take the advantage of Aerospike data hierarchy with the current PHP client. Too bad, the only JAVA client offers advanced features. I hope, I get any response from this issue. Because I don't want to create an account at their website to just report this problem. BTW, Thanks for the post, looks impressive. Hi, great work, thanks for it ! Why benchmarking only things in-memory ? I mean does this use case represent a large portion of your users ? One of the hardest balance we have to maintain, using AWS at least, is between amount of data, throughput and price. Why not doing a similar benchmark but taking into consideration the (most common ?) use case you have to store some data. Let's say 20 TB in your cluster and showing a matrix of cost / Throughput performance depending on machines in use ? An other reason is that will allow us comparing things easily with direct concurrents like Cassandra, since the community edition of Cassandra has no In memory option built in. @Alain Rodriguez: I can't answer your questions about Aerospike paper, but Cassandra does support memory caches (built-in). Search for; Cassandra "row cache" and "key cache". DSE, package based on Apache Cassandra does, AFAIK Cassandra don't. Having some row and key cached is not enough to say that the database is "In Memory". Actually, if you have row cache, it is that you also have data in disk and you loaded it at some point. An in memory Cassandra would keep all the data into big memtables (RAM) and would not need any row cache. At least that's the grasp I have about it. Our updated PHP implementation will be available shortly. I had reached out to various PHP developers, people who know PHP internals, and we had no real luck on that front. Made a key hire a few months ago, and some contractors, and have made a lot of progress. I realize this may not be fast enough for you, and my apologies, but we're on our way to a solid PHP client. Our C#, Go, Node, C clients are all well used and well loved by developers. Ruby is another language that we had a while ago, and are now updating - right after PHP. @Alain Rodriguez: "Having some row and key cached is not enough to say that the database is "In Memory". " That's right of course... "memory caches != in memory DB" Actually, I didn't mean; Cassandra is in memory database, but you have some possibilities around it "as you already know". One last question; is it possible to create Aerospike HHVM extension at the same time ? My application is able to use HHVM with no performance issue as it has been developed with HHVM performance in mind "no global, variable variable, top level code etc.."
We have already done quite a bit of experimentation with persistence in AWS. Aerospike is optimized to run with SSD so our experiments were only with SSD. Direct attach SSD are ephemeral the durability span of persistence on it is duration of instance. Newer instances and also higher instances (4x and above) generally are pretty reliable. But it cannot be trusted for the situations like availability zone going down (there is precedence). So there are two models of persistence. 2. Put the data on EBS ssd. Both have pros and cons of its own. Across availability zone every byte transfer is a cost. Replication traffic and in case of failure application traffic may go over availability zone for data which could cost a lot. Though the behavior of direct attach ssd is pretty good, the EBS ssd has iops restriction and much poor latency characteristic ... If reads were to go directly to EBS, that would hit the millisecond SLA which is unacceptable. We very early in Aerospike realized caching some part of data is enemy of predictability so all data has to be equal. One of the solution considered is multi level storage where entire direct attach ssd is seen as RAM and work with data in memory kind of setup and put data on EBS in the background. Making it much more seamless than manual snapshot and restore. You are correct when you say real challenge is the balance between data and cost. One more dimension to it is reliability as well. This looks awesome, but it is a shame that Aerospike had discontinued support of their lib event based c client, and that their Python client is blocking vs asynchronous.